← TRC #455: Mashup: Talking To Dogs + Dogs and Peanut Butter + Do Dogs Hate Hugs? 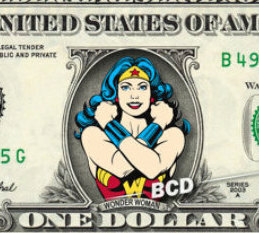 TRC #456: Anonymous vs NASA + The Matilda Effect + Wonder Woman Pay Gap? Happy Canada Day Checkers! This week, Adam looks into a claim by Anonymous making headlines that NASA is about to announce the discovery of aliens. Inspired by the movie Hidden Figures, Cristina digs into the Matilda Effect and highlights some groundbreaking women scientists who were famously and shamelessly snubbed for their achievements. Finally, after Darren comes down from seeing the new Wonder Woman blockbuster, he explores whether Gal Gadot’s paycheque is as unfair as some make it sound.